Catalogs sell products. We make sure your catalog is selling as much as possible. 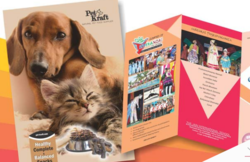 From proper page layout and product organization, to overall creative design and photography, we create catalogs that are not only aesthetically pleasing, but also make selection and ordering easy. Creativity is hard to define and still harder to pursue as a trade. It is a streak of sense in uncanny madness and a spark that ignites minds. We enjoy delivering these tough solutions day in and day out. Some of our software pertain to..
you want a creative website that can convert visitors to leads and leads to customers Then you need a website that connects users with a thorough understanding and a creative mind. If you need a creative website designer that will stand by you through the entire development process and walk the extra mile then let our designers help you. “9starabs has the credibility, creativity and capabilities to deliver clear and consistent messages that are noticed.We offer unique design expertise, brand creativity and consistency, artwork asset management and a fully accountable and transparent workflow. Coming up with new Brand don't worry i got you covered. When we work with you we do our best. Our designs and software are as beautiful to look as they are perfect in functioning. You would love working with us.